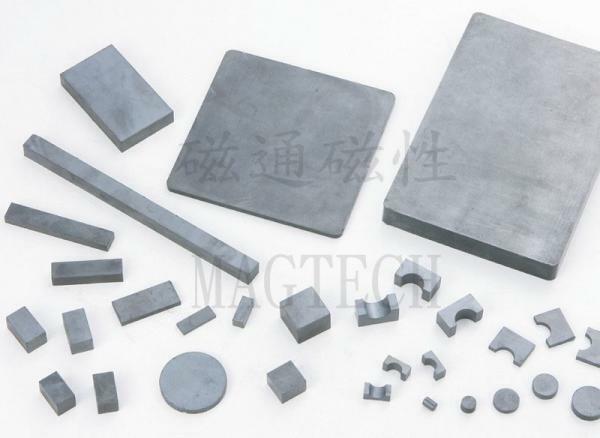 The main material of the Cutting Magnet is the strontium ferrite magnet, that is made by wet press. Basically, the density in wet press is better than dry press, so the cutting magnets can achieve a good performance even just a small dimension. The largest of block size for cutting magnet is L220 x W150 x 25.4mmT, and most common one is L152 x W100 x 25.4mmT (6" x 4" x 1"). At present, the smallest size that we are able to make it is L2 x W2 x 0.8mmT. Largest, Smallest, Thinnest, Thickest are available.